The Diva's Weekly Challenge #250: "Bringing it Back to the Old School"
Keeping cool and taking it easy on a hot afternoon in Tassie, going back to basics with white blank tiles, simple string, black pen and pencil shading. Lovely, clean, crisp tiles. I especially like the X string tile, and the R shaped one too. Beautiful as always! I especially like your first tile because it reminds me a bit of the workshop in Hamburg: Mooka, Tipple, Bunzo and the ever frightening Finery. I still need to finally practice drawing it a bit... it looks so easy when you do it! 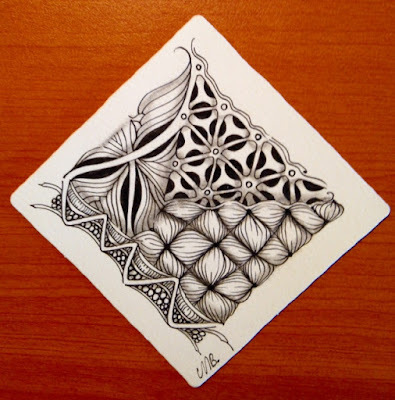 Thank you Ria, I'm so glad you found Zentangle....it's such fun! Clean, crisp, and lovely! I really like your R string. This resonated with me. These are beautiful tiles, Shelly. You make tried and tested patterns so different, I love it. Beautiful tiles. It's so refreshing to see some basic tangling done this week. Oh, these are just so darned pretty! Thank you for sharing what string you used. It makes the process come alive. Your proportions are so perfect for each tangle. Your work is truly inspiring - you come up with such beauty in the most basic framework. Lovely! Beautiful tiles, I especially love the R string one! 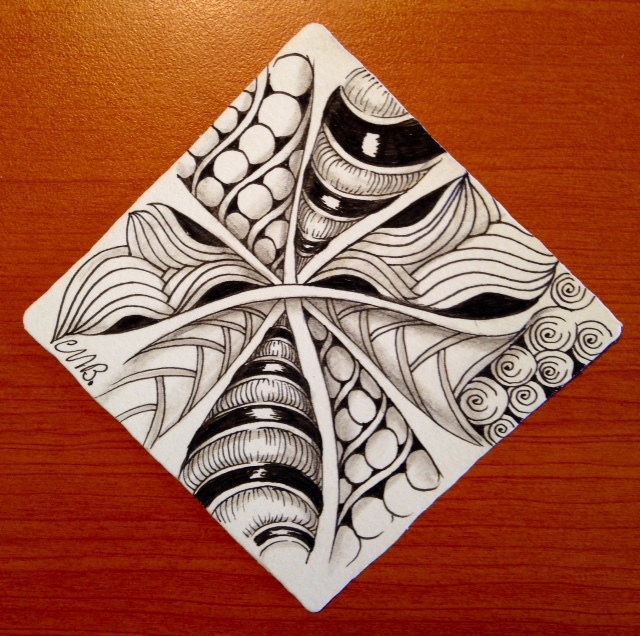 Your tiles are so beautiful, Michele! I look forward to seeing what you create. 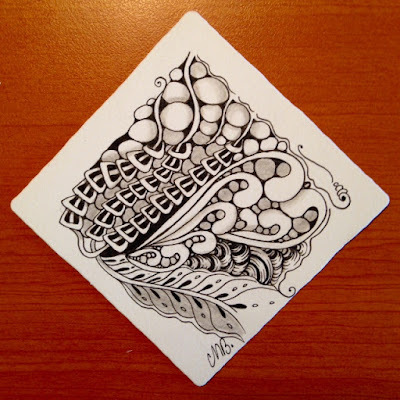 These have such a nice flow and beautiful shading to bring out the tangles so well. Such beautiful tiles! This challenge is magic! All three are gorgeous! I love them all! Beautiful! All three of them. I love seeing your creations Michele, and seeing what can be done by truly creative people.